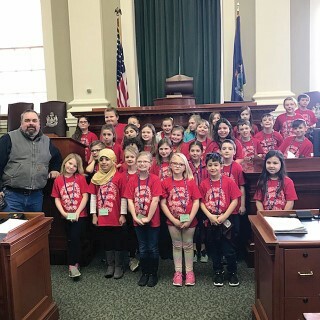 On Friday, April 6, members from the C House Third Grade Chorus toured the Capitol with Patrick Corey, Windham Representative. The group sang patriotic songs in the Legislative Chambers. The students also attended workshops at the Maine State Museum and spent some time touring the museum.